This weekend I am wrapping up my show at Hyde Park Grill (Duval) in Austin and pleased to say it was a fun and successful event. 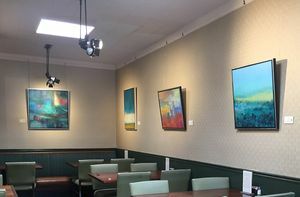 During the weeks that my art was on display, my husband and I ate at the restaurant several times. 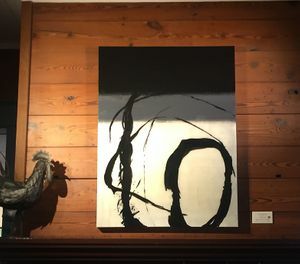 Sitting in a large space with other patrons- surrounded by my paintings- was a rather surreal experience. It was as if I threw a party yet I didn't know anyone who came! 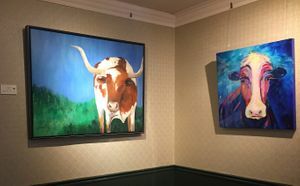 Now I have to get busy to prepare for my September show at Hyde Park's south location in Austin. Hopefully it will be another party for strangers - or maybe friends I have yet to meet.